Twenty-five to thirty years ago, the life insurance industry would have been ahead to heed this advice, and the same is true today. I have received a copy of a letter written by someone within the industry, whom I’ll call “Mr. X,” from a number of different sources, each asking for my comment. The letter compares Universal Life Insurance (UL) to Whole Life Insurance (WL). In what follows, I will deliver that comment in what I hope is a fair and balanced fashion, but the above dictum should be borne in mind. The flexibility of the UL product comes from the product design. Putting company minimum premium requirements aside, all that a UL premium has to do is cover the cost of insurance and whatever loads have been built into the contract to cover issue and administrative costs. Whatever premium the company insists on in addition to that minimum premium depends on the product’s competitive positioning. Minimum premiums, above the absolute minimum premiums described above, are set to allow companies to recoup their costs and to keep the product in force for some minimum period of time. “Target premiums” are set to determine the level upon which agents will receive their base commission. Note that none of these premium levels have anything to do with the predictability of the product’s results, for example endowing the contract at age 100 assuming a 6% interest rate. Ideally, the client and the agent review this contract every year by reevaluating the client’s goals and taking a look at the performance of the product in relation to the original assumptions. Of course we do not live in an ideal world, and most clients are left to determine, without the aid of a computer, what the appropriate level of ongoing premium payment should be, in light of the personal and economic changes that have occurred since they bought their policy. 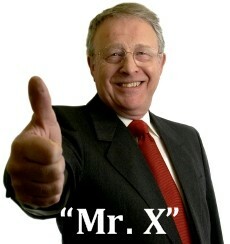 Mr. X argues in favor of flexibility by asking, “Who knows what the future holds? 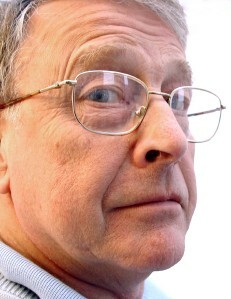 Why lock a person up into a plan he cannot change on the downside, if he needs to?” But if current and future premium payments, and consequently your future results are based on such unknowns, why would you have any confidence that your premiums are set at the right level or your future results will even approximate the desired end? But this is not the only risk incurred by premium flexibility! In general, the cash value in a permanent policy is designed to grow. This growth reduces the net amount at risk in a policy (the difference between the policy cash value or reserve and the death benefit of the policy), which keeps the mortality cost at reasonable levels even though the actual cost per $1,000 of death benefit is growing every year. By contrast, the whole life insurance policy fixes this growth when the policy is issued. Request Your FREE Analysis and Find Out Your Bottom-Line Numbers! No two Bank On Yourself policies or plans are alike – yours would be custom tailored to help you reach as many of your short-term and long-term goals as possible. There’s no obligation and no one is going to twist your arm. So take the first step and request your FREE Analysis now, while it’s fresh on your mind! The effect of skipping just one monthly premium at the wrong time may be the difference between a policy paying a death benefit and one that lapses before the death benefit is paid! The cash value in a universal life insurance policy is, essentially, a savings account. Its rate of growth depends on the interest rate being credited and the amount of money you put in it. If you choose to put less money into the cash value by paying lower premium, your cash value suffers and the cost of insurance goes up. But the same is also true if payments are consistently late or if a payment is skipped. You do not start earning interest until the premium is received and the later a payment is received, the less interest the policy holder earns over the course of a year. While there is no contractual adjustment of premium possible, with whole life insurance as there is in UL, companies do adjust premium all the time. This is done on the grounds that the coverage is valuable and we should be working with the consumer to keep at least some portion of the coverage in force. UL builds the ability to make this change into the contract, but the determination of the relation between the premium paid and the coverage is determined by the client. They may still be making premium payments on a higher face amount when the coverage lapses. This is true. The alternative seems to be withdrawing cash from the base policy, decreasing the net amount at risk, and increasing the cost of insurance. It keeps the entire policy in force but may shorten the length of time before the policy lapses. The same is true of UL. If there is no cash and the entire Cost of Insurance (COI), plus loads, is not paid, the policy lapses with no value. This quite often happens at older ages when the COI rate is very high and the need for the death benefit under the policy is imminent. If a person is not making premium payments on a universal life insurance policy, the non-forfeiture option is automatic and it is extended term. The policy will stay in force as long as the cash value can pay for the cost of insurance and any loads. To return the policy to a more secure position, the policy owner may decrease the face value (death benefit) and/or increase the premium payment. If a person is not making the premium payments on a whole life insurance policy, one of the non-forfeiture options is extended term. If the policy owner desires, the policy owner may reinstate the policy once it has gone to extended term by paying the back premiums due. In addition to extended term, the WL at least provides a couple of other options. The “reduced paid-up option” on older policies is particularly valuable since it guarantees an amount of coverage upon which no further premium payments are due. Neither UL nor WL will reinstate a policy once the cash value of the policy has been paid to the policy owner. Yes, Mr. Whole Life can. We have some policies that are designed to be paid up in one, five, ten, or twenty years. We can do one in 15 years, if you want, and we will guarantee that there will be cash values in the policy that the policy owner may borrow if necessary, both before and after the payment period. Can Mr. UL say the same? In order to compete with the WL guarantees, UL contracts have developed premium guarantees, or “secondary” guarantees which will keep the policy in force for life, or, in some cases until some given time period has elapsed. This allows them to determine an amount of premium that may be paid over a given time period to “pay up” a policy over that time period. Similar provisions are available in Whole Life Insurance policies by either utilizing reduced paid up options or turning to policies designed to be paid-up over a given time frame. The principal difference between these two methodologies is that the whole life insurance policy will guarantee the death benefit and the cash value, while the UL policy will only guarantee the death benefit. The principal difference between these two methodologies is that the whole life insurance policy will guarantee the death benefit and the cash value, while the UL policy will only guarantee the death benefit. Since the cash value in the UL product is not guaranteed, one needs to thoroughly understand the conditions that pertain to the guarantee. In general, premiums must be paid on time, and cash values in the policy must not be withdrawn or borrowed. This is particularly problematic when you consider that using your policy’s equity is key to the Bank On Yourself concept. I should also point out that there is a current debate in the industry as to whether these (UL) guarantees are properly priced and/or whether companies are carrying the proper reserves to cover their future liabilities. The problem is: if we are not carrying the proper reserve to support these products, we will not find out for some 20 or 30 years. Thankfully, I will not be around to witness the fallout. Dividends in life insurance are wonderful things, but why are they of no income tax impact to the insured? If all you need to pay to keep the policy in force with a UL is the COI and policy loads, then any cash developed would be the result of an overpayment of premium, would it not? Thus, all of the cash value in a UL is the result of an overpayment of premium. Dividends are a return of an overcharge of premium. 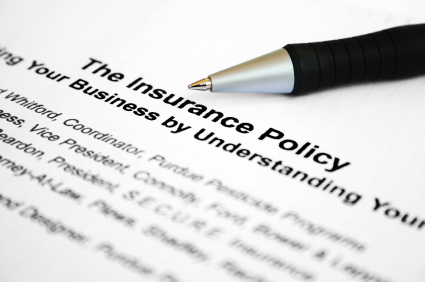 The cash value in a UL policy is the direct result of paying more money into the policy than is absolutely necessary. I fail to see any significant distinction. As for the tax benefits, they stem from the tax code. One distinction that was not mentioned is that if dividends are used to buy paid up additions, they not only increase the cash value over and above the guaranteed cash value, they also increase the death benefit. This result, common to all dividend paying whole life insurance policies is, generally, not true of UL. I understand that each company has its products to sell, but this debate about the merits of whole life insurance and UL is only meaningful in terms of what the client wants to accomplish, and what risk the client desires to and is capable of assuming. This is not a decision that should be made based on product spreadsheets. It should be based on the client’s risk tolerances and their money management skills. There are many people who would not only benefit from a Whole Life Insurance product – it is the product that they should have – because the necessity of paying premiums, coupled with the guaranteed cash value growth, will get them further toward the accomplishment of their financial goals than undisciplined flexibility and the promise of potentially higher returns. If you want to learn more about the different kinds of life insurance, how life insurance works – or more specifically how whole life insurance works – visit our No-Nonsense Guide to Life Insurance. 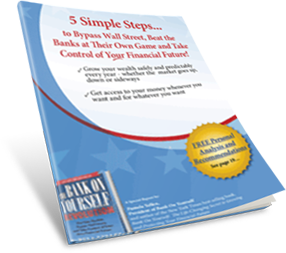 Not only is it free and easy-to-read, it has all the answers you’re looking for to make the best decision for your family and your finances. Wondering where you’ll find the funds to start a plan? Don’t worry! You’ll receive a referral to one of only 200 advisors in the country who have met the rigorous requirements to be a Bank On Yourself Authorized Advisor and can show you ways to restructure your finances to free up seed money to fund your plan.